Racism can take many forms and affects thousands of people in Ireland today. There's the obvious everyday racism, where people are called names, abused and harassed. Then, there's the kind of racism that is more subtle. This is the kind of racism that makes it harder for people to get jobs or housing because of their colour, religion or nationality. 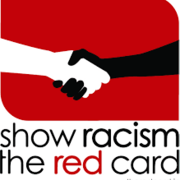 Our aim is to engage the public by raising awareness about racism, deliver high quality education programmes to youth in Ireland, and to develop and maintain relationships with sport organizations; multicultural and integration-focused organizations; and teachers, teachers unions, and schools. Our programme of activities includes: - education workshops, training for educators, creative competition for schools & youth services, club welcome for refugees and football against racism in Europe.